When you depend on performance and reliability, count on Bobcat tyres to deliver superior results in severe job conditions. Bobcat tyres come in a variety of load capacities and tread designs, depending on your application, for traction and grip to carry heavy loads; choose only Bobcat tyres for your Bobcat machine to ensure the right size and ply rating, and to maintain proper weight distribution and correct bucket height-to-ground contact. Eliminate downtime and money spent due to flat tires and enjoy longer tire life with Bobcat Solid Tires. 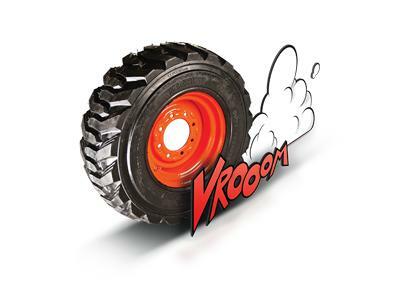 Designed to last at least three times longer than foam-filled pneumatic tires, Bobcat solid tires are made from an ultra-tough, enhanced rubber mining compound. With a tear strength that is more than double the strength of most pneumatic tires, you will experience better resistance to cutting and chunking from debris. 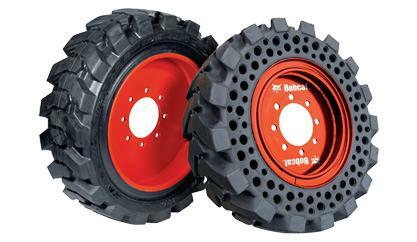 Bobcat solid tires are bonded to steel rims and ready to mount on your machine. 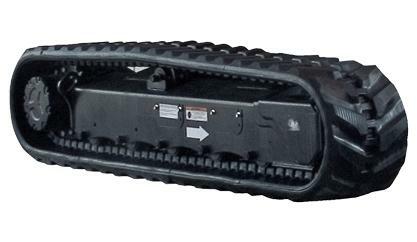 Each replacement rubber track offered by Bobcat Parts is specially designed to meet the operational and performance requirements of Bobcat compact excavators. Maximise your compact track loader performance with Bobcat® rubber tracks. 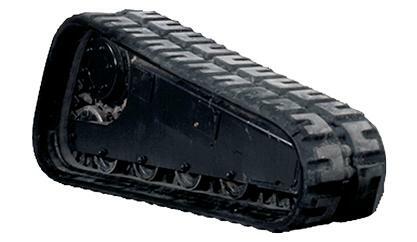 Bobcat rubber tracks are made using a combination of natural and synthetic rubbers to maximise wear. The internal continuous cables and imbeds are made of steel for ultimate performance and lifespan, even in demanding conditions.